Sleep apnea is a very serious sleep disorder where you have 1 or many pauses in your breathing while you’re asleep. These breathing pauses last several seconds and can continue throughout the night, numerous times. “Apnea” means to stop breathing. 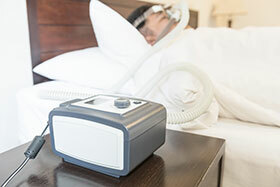 Research indicates patients in Lake County IL who have sleep apnea should understnad that it is very dangerous because it limits the oxygen intake to the brain, which can result in extensive critical issues like heart failure. In many cases, the temporary pauses in breathing are caused by the collapsing of the tissues in the back of the throat. Untreated sleep disorders can lead to other health complications that include diabetes or stroke. Did you know that excessive and loud snoring can be one of many symptoms of chronic sleep apnea? This disorder affects over 18 million Americans each year. In fact, sleep apnea affects people of all ages and ethnicities. 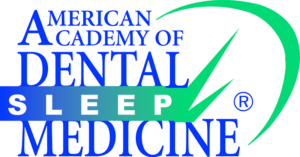 While there are different types of sleep apnea, Dr. Debora Klein’s expertise is working with Obstructive Sleep Apnea. This particular type of sleep apnea occurs when something partially or completely blocks the upper airway during sleep. This causes the diaphragm and chest muscles to work harder to open the obstructed airway and pull air into the lungs. Breathing usually resumes with a loud gasp, snort or body jerk. You may not sleep well but you probably won’t be aware this is happening. This condition can also reduce the flow of oxygen and cause irregular heart rhythm. Prolonging your sleep apnea symptoms can have detrimental effects on your health. Various studies suggest that this sleep condition can put stress on the heart by increasing the body’s blood pressure. Also, this issue can lead to heart disease – the number 1 cause of death throughout the world. 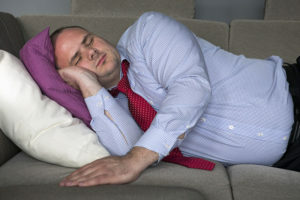 Additionally, patients with sleep apnea in Lake County, IL can dramatically increase the chances of developing type 2 diabetes, stroke, and increased incidence of many cancers. Dr. Debora Klein and staff want to help you take control of this serious condition, so please don’t hesitate. Simply use the form on this page or call us directly to schedule your free air-way evaluation.